It is an egg laying, egg hatching, egg hunting time of year. It is the time of year when nature reminds us that new life awaits with the arrival of spring. 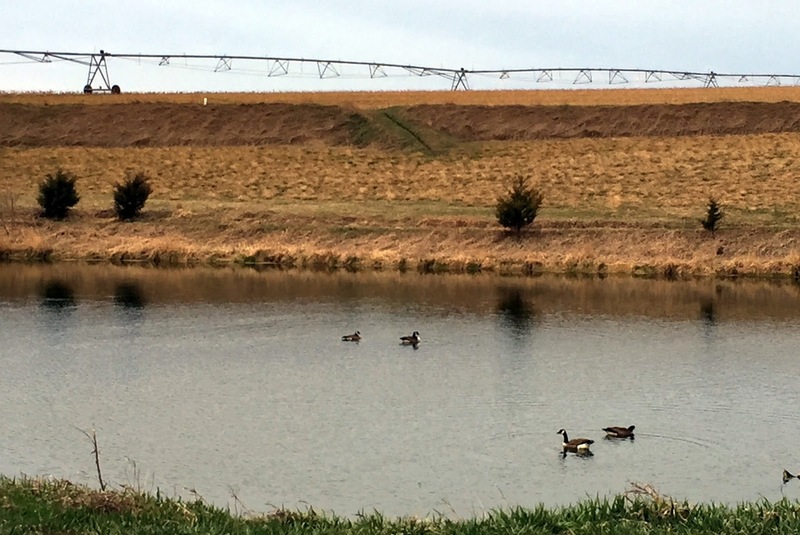 Canadian geese have been flying north since February. March came in like a lamb bringing warmer days that gave us a greening up in time for St. Patrick’s Day. This is a very egg-citing time! two from last year and will lay eggs here to raise another family of goslings. We adopted a stray cat, Ezza, as winter was just beginning. We thought she was going to have kittens and prepared a place for her to stay in the house garage over winter. 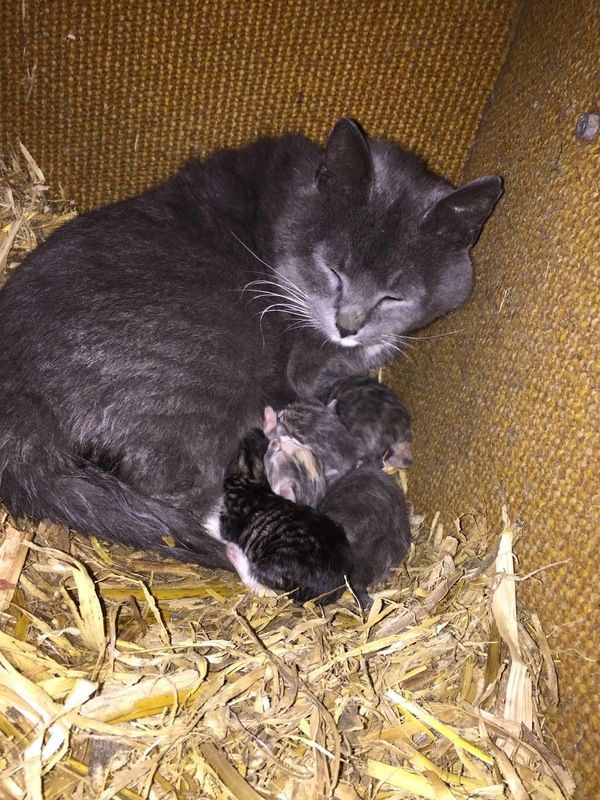 Ezza did eventually have five little kittens on March 21st. She has been a good momma cat so far with nice straw bedding to keep her little ones warm in. am enjoying the little meow sounds they make. There is something very special about new life. We were very excited to show our granddaughter, Ella, the kittens. We have also told her about the geese and the possibility of seeing a little family of geese in the near future! 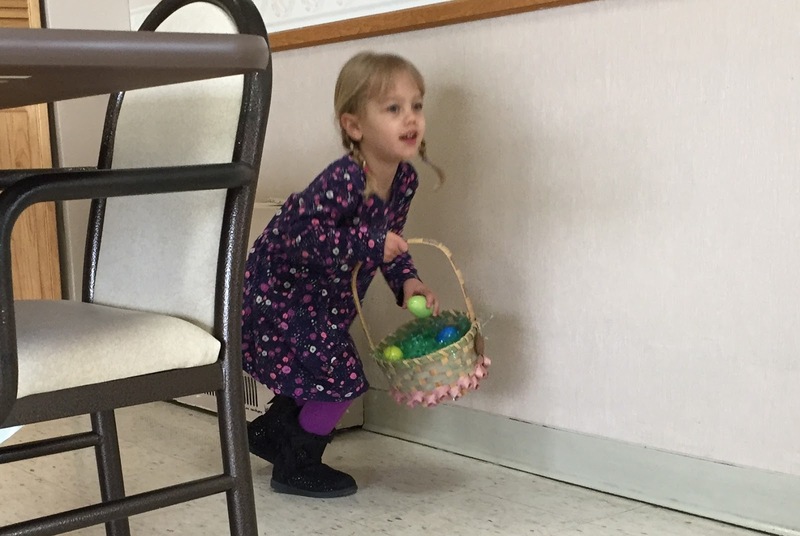 As we share our excitement over the new life unfolding on our farm we also share the excitement of Easter in a variety of ways including an Easter Egg Hunt. what she found. It was a great way to mix the old with the young! Eggs are an important part of many Easter celebrations. Coloring boiled eggs, filling plastic eggs with candy or money and hiding them for kids to find is something our family has done over the years. 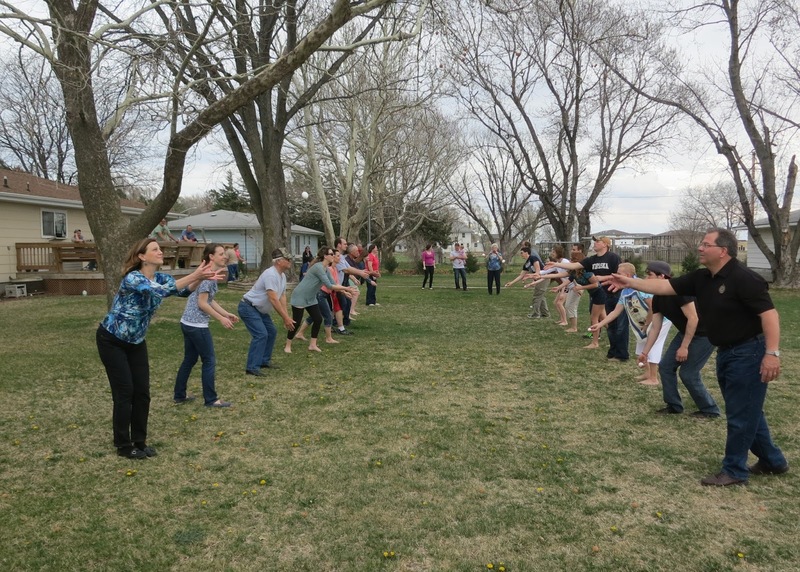 My family also has a tradition of having an egg toss on Easter Sunday. We gather for food and fellowship at my mom and dad’s in Grand Island. After enjoying a wonderful meal we divide up into teams, get an egg and head outside. We have shared many laughs when a family member received a yolking! What do you do with all of those left-over boiled eggs you colored? One great way to use eggs is to make a potato salad. My recipe has been a favorite for several of my family members. I put in one egg per medium potato and adjust the dressing as needed. 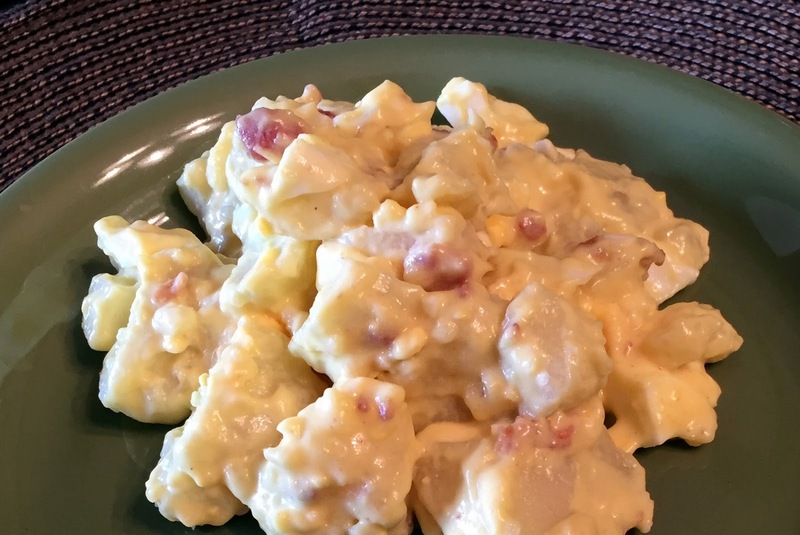 Potato Salad goes great with burgers and steak! Here is my recipe if you find yourself with more boiled eggs than you can eat. Mix the potatoes, eggs and bacon together. Mix the dressing ingredients in separate bowl. Pour the dressing mix into the potato mix. Stir until all ingredients are coated. Refrigerate overnight or at least several hours before serving as the potatoes soak up some of the dressing. 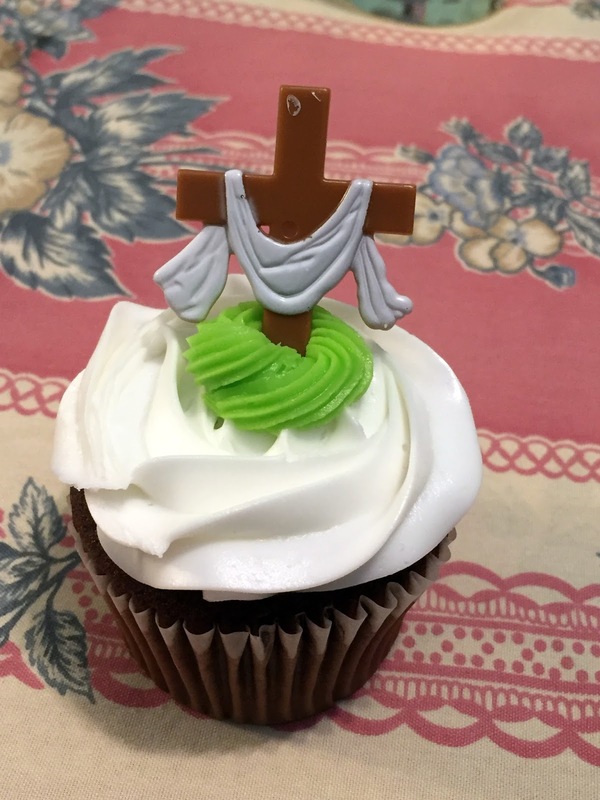 Eggs and spring weather wouldn’t be complete without the hope Easter brings. Our faith is what gets us excited! We have hope in a life that is eternal and that hope gets us through the challenges this life brings. Wherever you are, whatever your situation, we send you our Easter prayers for hope, joy and peace in your life!